The movie was 2 hours and thirty minutes long yet I didn’t feel bored at all. Each scene of this second offering was either melodramatic or action-filled. Nonetheless, I felt surprised at the abrupt end that sequels will follow (HG: Mockingjay, Part 1 (2014) and Part 2 (2015) this classic made-for-movie novel written by Suzanne Collins. Call me naive but I don’t follow book-for-movie novels except for Tom Clancy (†) movies but then again those books can hold its own. 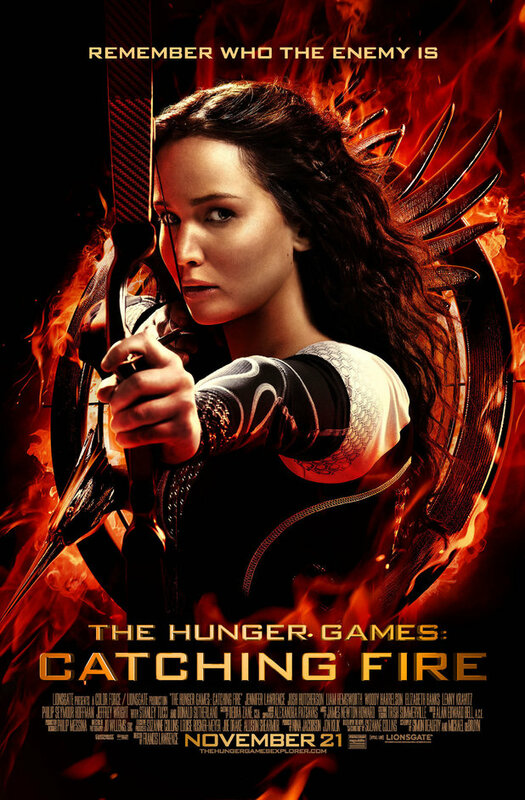 Hunger Games is another movie I feel would follow the footsteps of Twilight saga and Harry Potter films. Too early to tell? The first movie caught fire and the two other sequels are already filming not to mention the growing number of followers of ‘JLaw’ and Josh. Movie stars real-life couple Jennifer Lawrence and Josh Hutcherson, Liam Hemsworth, and Woody Harrelson. IMDb rated it a high 8.3 stars as of 25th November 2013. Lionsgate produced the movie.